Submitted by Migrate Wizard on 2014-07-16 20:09. 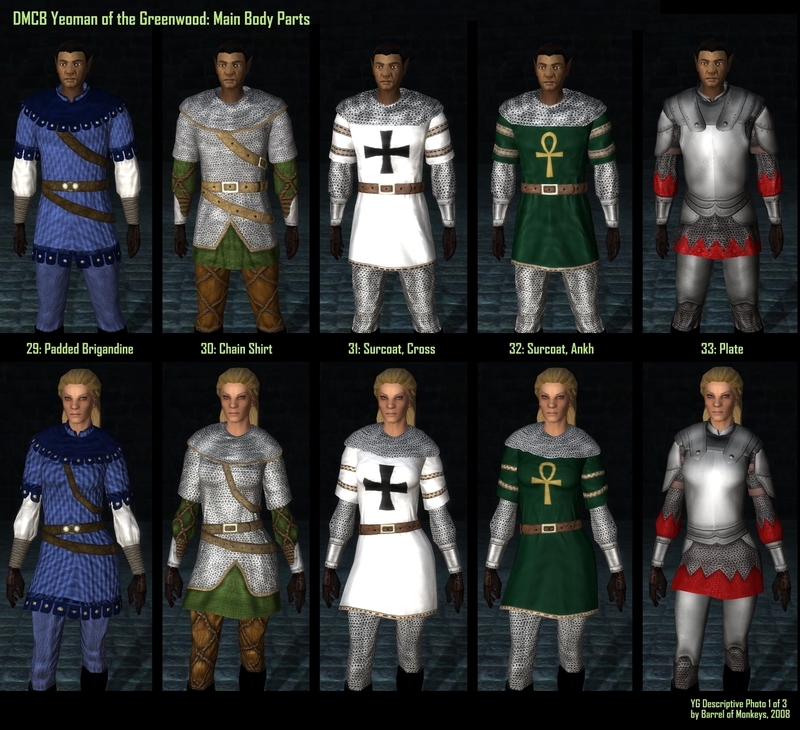 This hakpack provides new armor parts for males and females of all races with styles roughly based around the Robin Hood mythos. Extract DMCB_YG_v10_Override.7z into your nwn2 override directory. Extract DMCB_YG_v10_Hak.7z into your nwn2 hak directory. 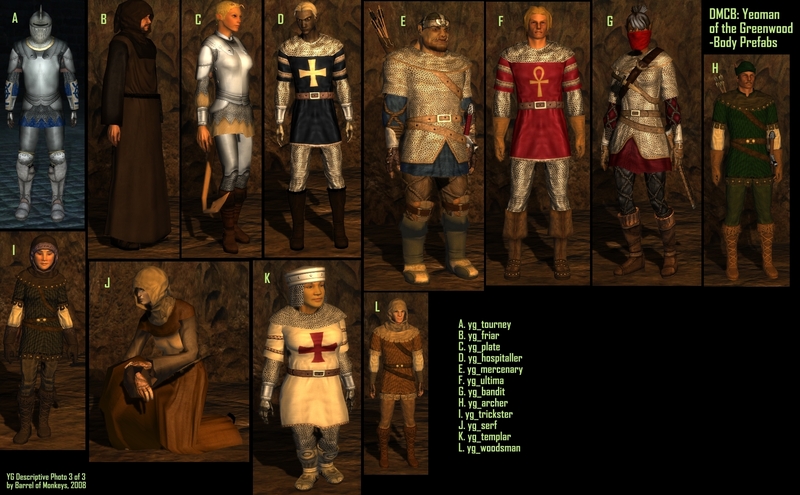 (Toolset numbers listed): All body parts can be found under the "Costume Barrel" armor type at the end of the armor list. 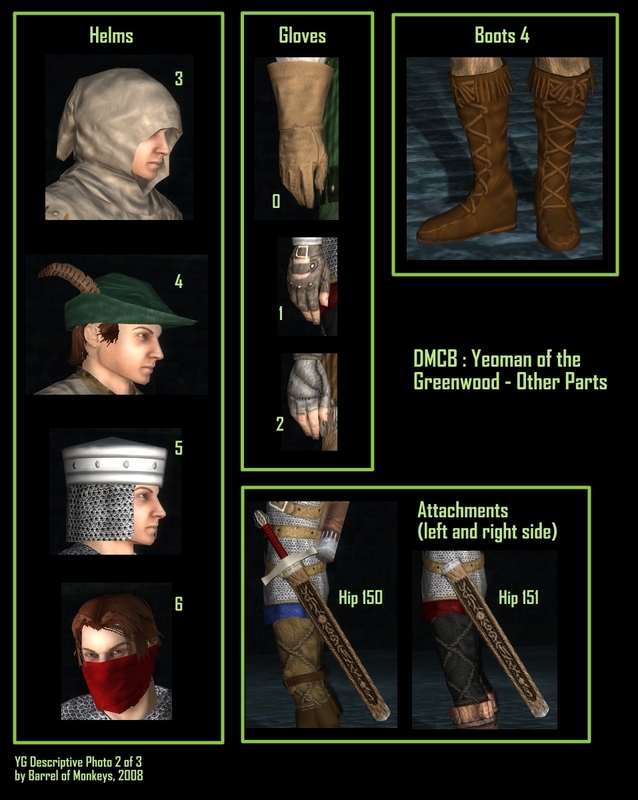 Anyone is allowed to repackage and/or modify the meshes and textures in this package as long as credit is given for the original source and the user does not charge money for their derived product. A Hall of Fame entry on the old Vault, this hakpack had a score of 9.88 with 39 votes. The downloads totalled 1,780 for the hak file and 4,844 for the override. Thanks for putting this up RJS, it is a real enhancement to the game.